Colorado is internationally renowned for its beautiful mountain towns. Whether you’re looking for a spectacular place to glide down powdery slopes, hike or bike trails, search for treasure or just revel in the scenery, there is sure to be a town on this list that will fit the bill. Aspen is one of Colorado’s most well-known mountains towns, teeming with the rich and famous, with not only a number of Hollywood stars owning homes here, like Jack Nicholson and Kevin Costner, but some of the wealthiest people in the world have an Aspen address. Of course, that’s not what makes it so alluring. Its breathtaking mountain scenery is some of the most impressive in the state. It also provides for world-class recreation, including skiing at four different ski areas in the winter as well as hiking, mountain biking and fishing in the summer. The Maroon Bells are the most photographed mountains in America, and can be accessed easily during the summer months, just ten miles away. In the winter, you’ll need to get there by cross-country skiing or by joining a snowmobile tour, either way makes for an unforgettable adventure. Durango is an ideal destination for multi-sport adventurers who want to be in heart of it all. The Animas River winds right through town and is known for some of the best rafting and kayaking in the state. Just uphill, you can be in the Rockies, hiking, skiing or even ice climbing in out-of-this-world alpine terrain. In the lowlands, visitors can enjoy year-round access to mountain biking with more than 1,000 miles of trails around Durango alone, as well as slot canyons and Anasazi ruins. In town, Main Street offers lots of Wild West charm along with modern amenities. You’ll even have the opportunity to hop aboard an historic steam train, the Durango & Silverton Narrow Gauge Railroad. This narrow gauge train was built specifically to handle narrow mountain routes, and the journey between Durango and Silverton is one of the most breathtaking in the country. Estes Park sits on the eastern edge of Rocky Mountain National Park, offering some of the most amazing mountain scenery in the entire nation. In town you’ll find a number of art galleries, shops and eateries as well as a Family Amusement Park where kids and the kid-at-heart can ride a big slide, drive go-karts, play miniature golf or even bungee jump. Just minutes away in the national park, visitors can access miles and miles of hiking trails that wind through lush valleys and the edge of winding streams and waterfalls while providing views of craggy mountain peaks that tower over 14,000 feet into the sky. Estes Park is also home to the Stanley Hotel, a historic landmark for which author Stephen King based his novel, “The Shining.” Parts of the TV miniseries version of “The Shining” were also filmed here. Ouray is nestled deep in a box canyon in the heart of the San Juan Mountains, known as the “Switzerland of America.” The impressive mountains and cliffs that surround the town with a population of roughly 1,000, offer outstanding hiking, climbing and mountain biking during the summer, and ice climbing in the winter, with the world’s first ice climbing park created here in 1994. It sits in relative isolation, with no ski resort nearby, giving it a much more authentic, down-to-earth feel. Visitors can also soak in the hot springs located right in the middle of town while marveling at the jaw-dropping scenery. Ouray’s Main Street, lined with century- old Victorian buildings and old western mining town-style buildings, is registered as a National Historic District. The state’s largest tributary to the Colorado River, the Gunnison, runs through this town that sits at the bottom of a valley between Montrose and Salida. The county built a whitewater park here about a decade ago, just a mile east of the city limits, for recreational kayaking, canoeing and rafting. The town itself has a laid-back, Old West feel, retaining its ties to a century of ranching with its wide open spaces, friendly residents and annual Cattlemen’s Days, one of the oldest rodeos in the state. Just outside of town, Blue Mesa, the largest reservoir in Colorado, holds the record for the largest lake trout, rainbow trout and brown trout. Just south of town at Hartman’s Rocks Recreation Area, you’ll find internationally renowned mountain biking too. Buena Vista, Spanish for “good view,” sits at the foot of the Continental Divide. Many people come to soak in the area’s natural hot springs while soothing muscles and gazing up at towering snowcapped peaks. The town is also a popular jumping off point for some of Colorado’s best river rafting, with Brown’s Canyon, just eight miles south, frequently referred to as the whitewater capital. The Collegiate Range sits just west of town, and is home to the most concentrated number of peaks above 14,000 feet in the state, filled with hiking and mountain biking trails as well as a number of ghost towns. Cripple Creek, just west of Pikes Peak, is a popular destination for tourists and locals who want to test their luck at the casinos, or get a taste of history and the Old West. In its heyday at the turn of the 20th century, this town was a booming city with a population of over 55,000, and the fourth largest city in Colorado. Today, Cripple Creek is home to just a little more than 1,000 residents, but visitors will find a wealth of things to do. Catch a melodrama at the historic Butte Theater, descend 1,000 feet underground in an original 1890s gold mine, explore fascinating museums like the Old Homestead House, once the most famous brothel in town, take a journey on the Cripple Creek & Victor Narrow Gauge Railroad, play the slots or just take a walk around town to see check out the historic buildings, old mining homes and magnificent Victorians. Leadville is a beautiful Victorian mountain town, and the nation’s highest incorporated city, sitting at an elevation of 10,152 feet. It was once one of the richest, longest-lived and bawdiest mining boomtowns in the entire U.S., with 70 square blocks of the downtown area designated as a National Historic Landmark of Victorian architecture. While it may not be Aspen, it’s a fabulous authentic mining town, with much more affordable accommodations. Ski Cooper, located just 10 miles away, offers budget-priced lift tickets and a lack of long lines. Other activities available include fishing, golfing, hiking, rafting, four-wheeling, mountain biking, train rides, museums and historical tours. Creede sits at the eastern end of the San Juan Mountain Range in a former volcanic caldera, surrounded by sheer cliffs that limit its physical growth. It has a year-round population of just 400, though that number increases significantly during the summer months with visitors arriving to take part in the multitude of recreational opportunities like hiking, climbing, biking, rafting, kayaking and four-wheeling along with spectacular scenery. In town, visit the Underground Mining Museum and Creede Historical Museum and enjoy shopping, dining or sleeping in buildings dating back to the 1890’s. Nederland may be Colorado’s quirkiest town, as the home of the internationally renowned “Frozen Dead Guy Days” festival, celebrating a Norwegian immigrant whose dead body is still frozen in a town Tuff Shed. Tucked into the Rockies just west of Boulder, Nederland has a lot to offer as an outdoor lover’s paradise as well as its history, rich in mining and music. Its home to a number of unique shops as well as friendly residents and a fantastic music scene, in addition to being a base camp for Eldora Mountain Resort, offering family-friendly skiing as well as snowboarding, Nordic and alpine skiing, just five miles away. In the summer, there are a number of great day hikes nearby as well as mountain biking trails, stream and lake fishing. Steamboat Springs is one of Colorado’s larger mountain towns, with a population of roughly 12,000, yet its relative isolation from the Front Range and major roadways give it more of a small town feel. It retains its long-standing Western heritage, hosting a more than century-old summer rodeo each year. The Yampa River, runs right through town, and there are dozens of hot springs throughout the area, the largest sitting in the middle of town at Old Town Hot Springs. Steamboat Ski Resort offers some of the best powder in the state, and during the summer months, Steamboat Lake provides the chance to go sailing, fishing, water skiing or jet skiing, while the surrounding mountains are ideal for hiking and biking. Telluride is often called the most beautiful ski town in all of North America, as a Victorian-era silver-mining community nestled deep in a box canyon in the San Juan Mountains. It was the first city in the world to have electric street lights, but it retains the feel of bygone days, with no stoplights, neon signs or billboards. Telluride Ski Resort, just above town and almost spilling right into it, is one of the most impressive in the state. The town itself, is home to just 2,325, and is surrounded by red stone mountains. Victorian storefronts and frontier-era facades adorn its compact downtown area which combines fine wine lists and hip bars with a spirited culture of passionate mountain lovers. Grand Lake is known as the western gateway to Rocky National Mountain Park. The village has an historic boardwalk as well as over 60 shops, eateries, bars and galleries, while the lake itself is the largest and deepest in the state, providing the opportunity for all sorts of water sports, including boating and fishing. Horseback riding, hiking, golf and four-wheeling are also possible during the summer months, and on the Fourth of July, visitors can enjoy a fabulous fireworks display over the lake. Grand Lake is also popular for snowmobiling in the winter, with a layer of snow left on its streets for riding right through town, as well as across the 300 miles of nearby trails. Skiing and sledding is available at nearby Sol Vista. Georgetown is a Victorian mining town without a single stop light, yet it’s just a little over an hour west of Denver. It offers a wide range of activities from hiking, biking and rafting to shopping and exploring the practically endless historic mining roads. The most popular attraction in this small hamlet with a population of just a little over 1,000, is the Georgetown Loop Historic Mining and Railroad Park. Passengers can take the 75-minute trail ride between Georgetown and Silver Plume, over tracks that rise 640 feet across breathtaking Rocky Mountain terrain. Breckenridge is an especially photogenic town, with many of its original buildings that housed hotels, dance halls and saloons, still standing some 150 years later. While it’s world famous for its ski resort, Breckenridge is filled with fun things to do all year long. In the summer, many travelers are drawn here for hot air balloon rides and white water rafting. Of course, in the winter months most visitors head here to experience the practically endless number of ski trails. After dark is when Breckenridge really shines, sparkling and twinkling with brilliant lights and glistening icicles, creating the ultimate Christmas town. Idaho Springs is the gateway into the Rockies for Front Range residents, but it’s much more than a popular pit stop. Here, mining heritage lives on through Miner Street’s well-preserved buildings, and at Indian Hot Springs, just south of downtown you can enjoy your time soaking in the therapeutic mineral pools. This world famous resort features his and hers geo-thermal cave baths, a mineral-water swimming pool, private outdoor Jacuzzi baths and a day spa. The town is also home to the original Beau Jo’s, known for making Colorado’s best pizza, as well as a brewery. 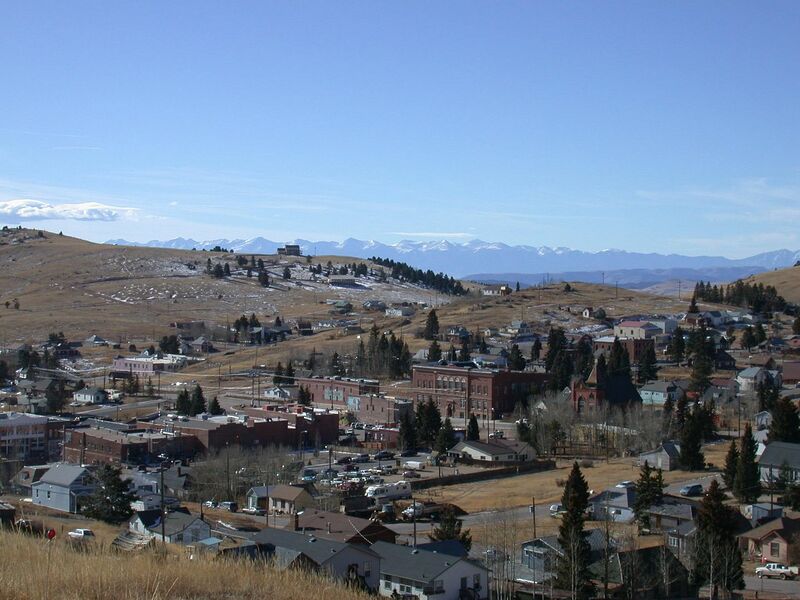 Lake City was founded in 1874 following the discovery of a gold mine known as the Golden Fleece, one of Colorado’s most productive gold mines in its history. The population exploded after the find, with more than 200 buildings constructed and some 10,000 residents. Today, the town has less than 400 who call it home, but it remains a fantastic vacation destination. Visitors can enjoy year-round festivals, theatrical performances, historical tours, in-town trails and shops featuring the wares of skilled local artisans. Its surrounding creeks and ponds attract fishing enthusiasts from across the globe. Paonia is one of Colorado’s most unique mountain towns. This sustainable community on the western slope, about 70 miles southwest of Glenwood Springs, was first founded as a home base for coal miners, with many still occupying bungalow houses in the downtown area. The town has also attracted lots of creative types, including artists and musicians as well as new age post-hippies and merchants who live in and around Paonia. Here, there are no traffic lights, and no one seems to be in a hurry. It’s also temperate enough to house orchards and vineyards, like Terror Creek Winery, home to the highest-altitude commercial winery and vineyard in the world. Crested Butte is actually made up of two municipalities, the Town of Crested Butte and Mt. Crested Butte. The ski area is up the hill in Mt. Crested Butte with the Town of Crested Butte three miles below in the valley. While the town offers all of the amenities of a place like Aspen, it’s totally isolated and far less busy, sitting about 30 miles north of Gunnison in the heart of the Rockies. In addition to skiing and mountain biking, visitors can enjoy everything from a lazy float trip to Class V kayak runs on one of three rivers: the Taylor, Gunnison and East River. The Taylor is also known for world-class rainbow and brown trout fishing.